Giuseppe Marotta, CEO of Juventus, said there was "nothing concrete" from Chelsea and AC Milan over Gonzalo Higuain, although the Juventus general manager admitted that striker could be sold after the arrival of Cristiano Ronaldo. Higuain was tied to a meeting with Napoli's former boss, Maurizio Sarri of the Premier League, Chelsea, while the name of the Argentine international appeared as a possible heavyweight in a case for the NH defender Milan, Leonardo Bonucci. Juve and Milan have already had discussions on a potential exchange, but Chelsea will have the advantage in the negotiations if they advance on their interests because of Sarri's relationship with the striker. Marotta, revealed that Serie A champions evaluate their options after Ronaldo's arrival in Real Madrid, leaving Juve flooded with attackers. "I will not deny that with the arrival of Cristiano Ronaldo, we have a quality attacking departmert that is a little crowded," said Marotta Sky Italia. 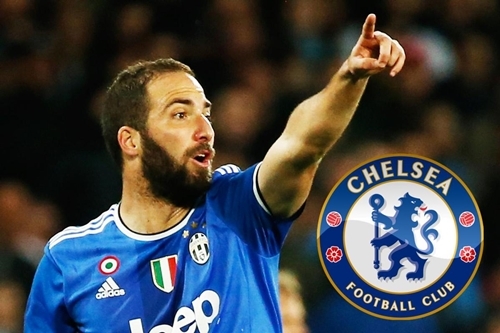 "We are going to evaluate things with Higuain, but nothing concrete has come from Chelsea and Milan. "He is always an important player for us, there is obviously more competition, but he is a professional and we evaluate his future with his representatives, we have a lot of respect for him."